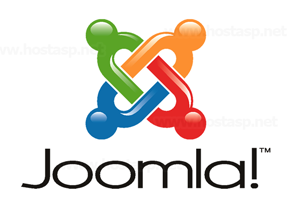 Joomla is the world’ s most popular open source CMS (Content Management System). With 2.7 percent of the Web running on Joomla, the software is used by individuals, small & medium-sized businesses, and large organizations worldwide to easily create & build a variety of websites & web-enabled applications. If you want hosting for your Joomla website that just works fine with no downtime or hassles, our Joomla hosting is the place for your hosting that set you free from all hassles. HostASP provides you secure and reliable Joomla hosting with easy to use control panel and unlimited features. With Joomla CMS and Joomla Hosting, you can easily build websites and powerful online applications. HostASP features single-click install of Joomla application directly from your cPanel or WebsitePanel control panel. We are proud to support Joomla hosting on cPanel hosting and Windows hosting, it's purely your choice of selection either a Windows based or Linux based Joomla hosting service - priced cheapest web hosting for Joomla web sites.